Keep safe with these fire safety tips. If you own a business, you wear many hats and complete hundreds of tasks on a daily basis. t’s possible to overlook certain aspects of your building or office space such as the heating, ventilation, and air conditioning system (HVAC system) when you're busy running your business. 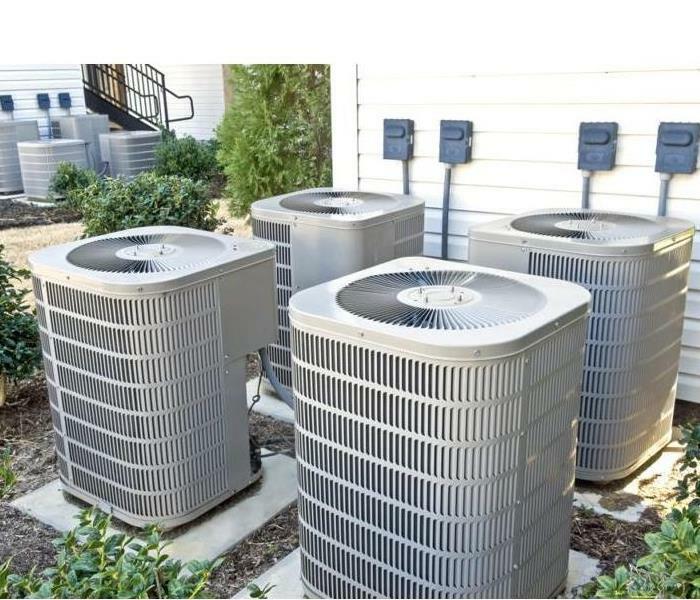 However, when these heating and cooling systems are not properly maintained, they can accumulate dust, pollen, and other debris, causing expensive problems down the line. Contact SERVPRO of Palo Alto for the experience, the expertise, and the advanced training that enables us to get your property restored quickly and thoroughly. We can help you maintain your HVAC system, which can extend the life of your equipment. Call our SERVPRO of Palo Alto experts on commercial air ducts and HVAC cleaning at (650) 800-3448 today! When water damage occurs due to excessive rain and flooding like we've been experiencing, call SERVPRO of Palo Alto at (650) 800-3448 day or night. We'll make water damage "Like it never even happened." The heavy rains and horrific mudslides that devastated large swathes of Montecito in Santa Barbara County last January left death and destruction in their wake as mud and debris swept through the streets, leaving 21 people dead and thousands of homes and businesses damaged. 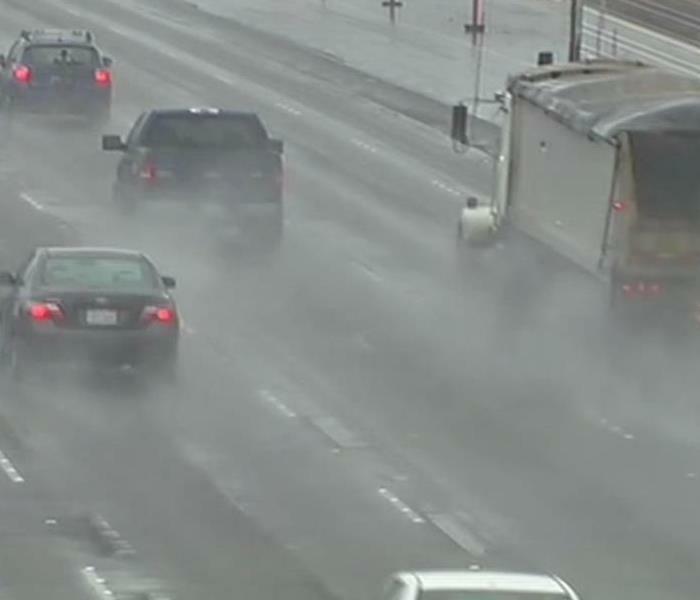 Because all of California has experienced rain storms at one time or another (including the heavy rains last winter in Northern California, causing thousands in San Jose and surrounding areas to evacuate), water damage preparedness is essential to protecting what we hold dear. What does this tell us, as residents of Santa Clara County, including those of us in Palo Alto, Menlo Park, Atherton, and Redwood City? It tells us that we need to be prepared at all times for water damage that can occur due to heavy rains in Northern California by taking several key steps. In addition, we also need to have a reliable restoration company like SERVPRO of Palo Alto to assist in damage restoration and water mitigation after the fact. How can homeowners and business owners protect their property from water damage in Palo Alto, Menlo Park, Atherton, and Redwood City? There are several steps to take to minimize water damage due to heavy rains and winds. First, make sure to maintain clean gutters. Clear your gutters of leaves and twigs that may have accumulated throughout the year. Do this at least twice a year, if not more. 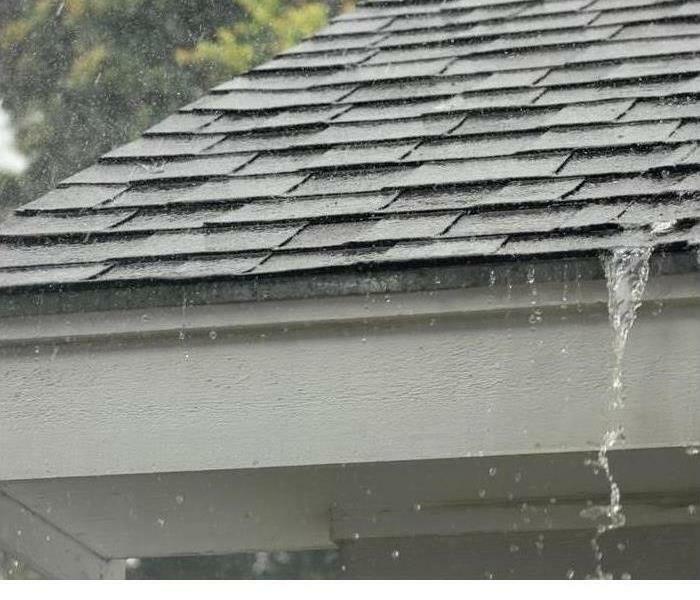 If you don’t keep your gutters clean, debris build-up slows the flow of water to the drains and leads to overflowing. Another important step to take when safeguarding your home or business against water damage is protecting against electricity issues. During heavy rainstorms, it’s imperative to make sure that all electrical appliances are stored or moved upstairs, where water is can’t reach them. 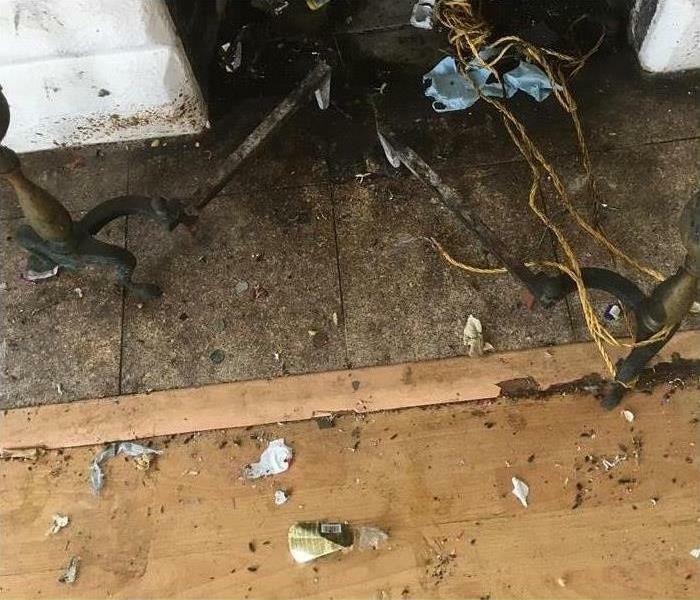 Don’t go near the fuse box and ensure that all sockets are covered and turned off. Water and electricity can cause major problems. Next, don’t forget to check your sealant. Make sure that any gaps or holes in the sealant surrounding your doors and windows are filled in, especially if you live in an area that gets hammered by heavy downpours. Otherwise, rain will seep into the building, causing all sorts of problems requiring water damage mitigation. Inspect your sealant regularly, because regular upkeep will greatly reduce the impact of sealant erosion. Cover air vents. As you may have already experienced, air vents are one of the most common ways that water can get into a house or business. If the forecast calls for heavy rain, or if you’re at risk of flooding, make sure that you cover your air vents from both the outside and the inside with thick plastic sheeting. What happens if you take these protective measures before heavy rains hit and you still have water damage? Sometimes, no matter what you do, Mother Nature can still cause water damage (or mold damage due to water damage) requiring water restoration, mold restoration and mold mitigation in Palo Alto, Menlo Park, Atherton, and Redwood City. Not all is lost. First call a reputable damage restoration company like SERVPRO of Palo Alto. SERVPRO of Palo Alto’s expertly trained restoration technicians are trained to take care of water damage and mold mitigation due to flash flooding and heavy rains. They serve the following areas of Santa Clara County: Palo Alto, Menlo Park, Atherton, and Redwood City, and have taken on water damage jobs both large and small. In addition, their customers give SERVPRO of Palo Alto excellent reviews for their quick, efficient, and high-quality water restoration work and mold mitigation work. Get your property ready for heavy rainstorms that inevitably occur in our area of Santa Clara County. Then, call us today for a quick, no-cost estimate for any water damage, large or small, that needs water restoration at (650) 800-3448. What happens if you take most of these actions during heavy rains and still have water damage? Don't fret. First call a reputable damage restoration company like SERVPRO of Palo Alto. SERVPRO of Palo Alto’s expertly trained restoration technicians are trained to take care of water damage and mold mitigation due to flash flooding and heavy rains. 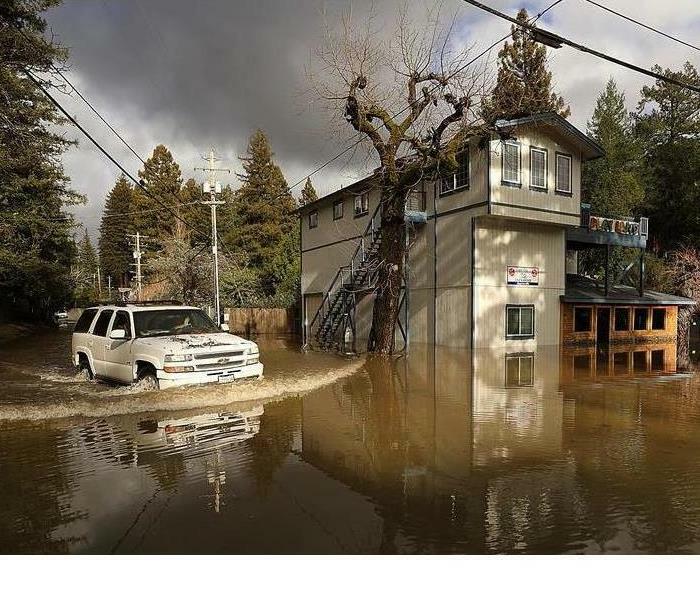 They serve the following areas of Santa Clara County: Palo Alto, Menlo Park, Atherton, and Redwood City, and have taken on water damage jobs both large and small. In addition, their customers give SERVPRO of Palo Alto excellent reviews for their quick, efficient, and high-quality water restoration work and mold mitigation work. Call us today for a quick, no-cost estimate at (650) 800-3448! 2018 was a year of major firestorms in many parts of California -- from Southern California to Northern California. Some of these fires, particularly the Paradise Fire in California, have devastated entire communities. Damage caused by a fire is life-changing for home and business owners. It’s a stressful and confusing time, so you’ll need caring fire restoration experts to guide you through this crisis, from beginning to end. The professional restoration technicians at SERVPRO of Palo Alto will always treat you with respect and empathy, and we’ll always handle your home or business with great care. We can recover many of your belongings that you may have thought lost forever. Home or business owners can be caught off guard with a sudden fire emergency. It’s important not to delay and discuss available coverage with your insurance company, in addition to taking the appropriate steps to limit the losses you might experience in case of an emergency situation. SERVPRO of Palo Alto will help you deal with your insurance company, and assist you with the paperwork involved in your claim, making the process as stress-free as possible. At SERVPRO of Palo Alto, we have the specialized fire and water damage restoration training, personnel, and equipment to handle fire damage to help you through this tough time. We can quickly restore your home to pre-fire condition. 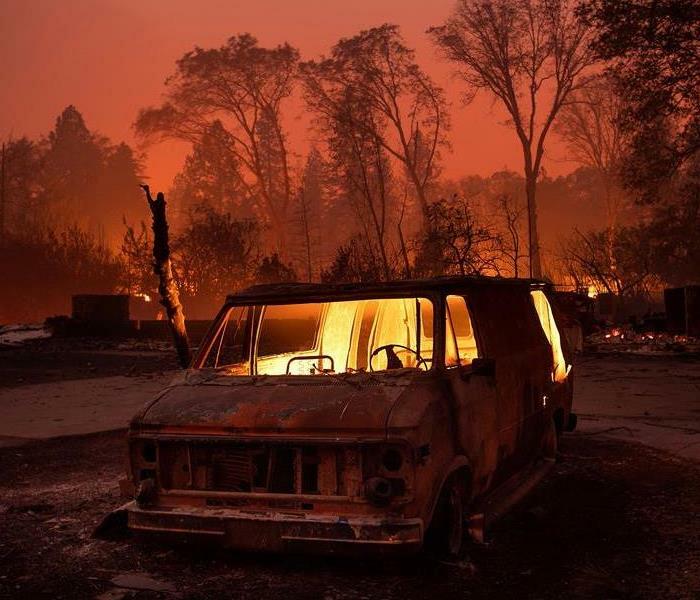 SERVPRO uses the latest technology, including water extractors, moisture detectors, and air moving equipment to effectively dry areas affected by firefighting efforts. Rely on SERVPRO of Palo Alto for fire damaging events to your property. We are available 24/7, including holidays. 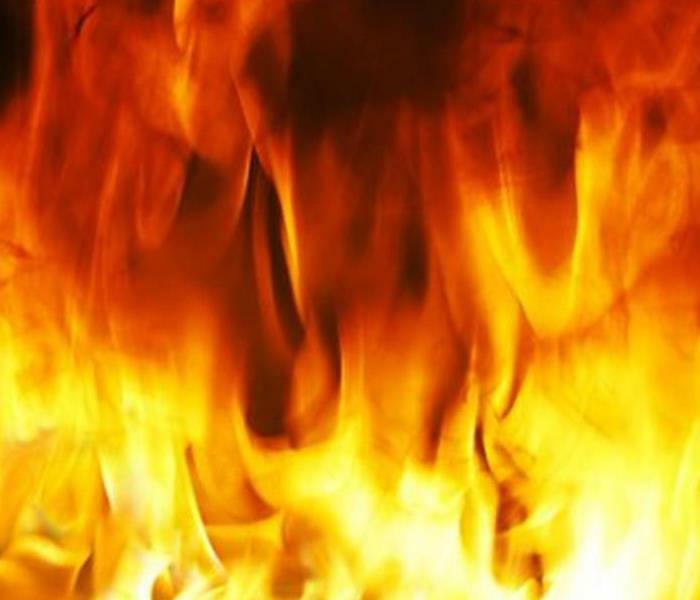 Call us at 650-800-3448 for fire restoration in the Bay Area today! SERVPRO of Palo Alto cleaned, disinfected, and deodorized this property affected by rodent droppings. Often times, SERVPRO of Palo Alto gets calls for rodent droppings cleanup after the rodents have been exterminated. Although the rodents might be gone, the bacteria, diseases and hazards from their droppings can still pose health issues if not taken care of properly. Offices, restaurant kitchens, HVAC systems, storage closets, warehouse shelving, can all be possible areas where rodents can infest with droppings. Customers, employees and visitors can pose serious health concerns if they are exposed to biological and chemical contaminants. Failure to properly remove such substances can contribute to unhealthy and dangerous environments.SERVPRO of Palo Alto is equipped with the necessary safety apparatus and cleaning products to treat these unhealthy environments. Our specialists are trained to safely remove biohazards and dispose of them properly in accordance with OSHA and health regulations. Proper cleaning and sanitation for businesses is necessary and SERVPRO of Palo Alto can help you clean this up. We provide cleanup and recovery services for any biohazard situation. Call us directly at 650-800-3448 to help you rid your business of droppings that can cost you money. It's the happiest time of the year! During this time of the year, there are carolers singing, egg nog, bright lights, tasty food, chilly weather, and shopping for presents. With all these fun and festive things going on, it is easy to forget that this time of year lends itself to some very real fire hazards. 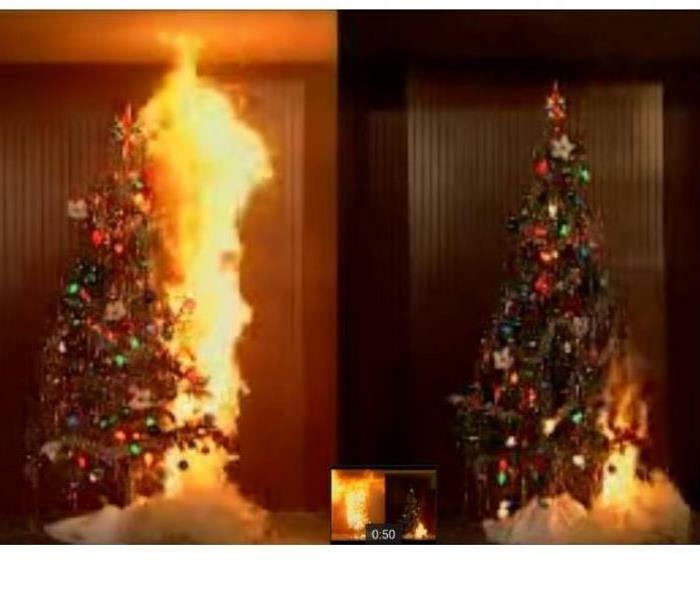 Surprisingly, statistics show that residential fires are more costly and property loss is 34% greater during the holidays rather than any other time of the year. As a gift from your local neighborhood SERVPRO, here are a few tips to make sure your holiday is the merriest and safest it can be. Keep a multi-grade fire extinguisher handy for a variety of fires. Check the smoke detectors for operable batteries. If you are going to deep fry your turkey, make sure it is on a flat surface and at least 10 feet away outside from your home. If you are multitasking while you are cooking, make sure you have a cooking utensil in hand to remind you that something is on the stove. Maintain at least a foot between the candle and anything flammable in all directions. Before going to bed, make sure all candles are put out and never leave a flame unattended. However, if you prefer a low light setting, rather than use candles, switch to LED powered candles. Try to purchase a fresh cut tree with one that has all of its pine needles intact. Purchase a tree base that has room for you to water your tree every day. Watered trees will last longer and will typically dry out after 4 weeks. Remember to take your tree out as soon as possible after the holidays to prevent unwanted accidents. Dry trees are the easiest to catch on fire. Inspect light strings for cracks and/or fraying. Inspect light sockets for broken and exposed filaments. Do not run three strings from end to end, but instead, stack them because it is safer. Do not use nails or staples to hang your lights. Instead, use UL-Rated clips and hangers. Take lights down after the holidays to prevent squirrels from chewing on your cables and environmental damage. Have your chimney inspected for collected soot that hardens after every use of your fireplace. If it needs to be cleaned, do so before you use it. Do not start a fire for your fireplace with wrapping paper or liquids; only use seasonal firewood. Set a screen in front of your fireplace to prevent the embers from your cozy fire does not damage or spark a fire to your items such as a rug or other flammables. Set extinguished embers in a metal container outside for at least 24 hours before throwing away. If you have any questions, concerns, please call SERVPRO of Palo Alto at (650) 800-3448! Most importantly, we are available for emergency services of any accidents or inconvenient mishaps 24/7. From our family here at SERVPRO of Palo Alto to yours, we wish you a safe happy holidays! Let SERVPRO of Palo Alto take care of your mold mitigation needs! 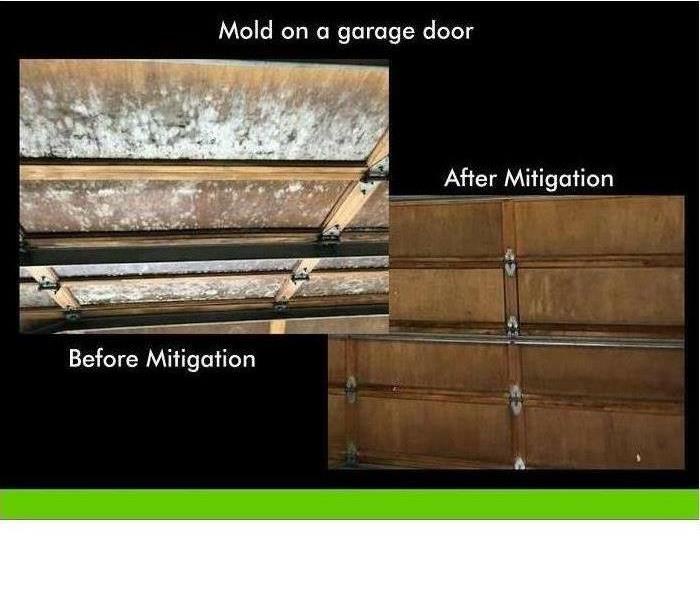 Mold is no match for SERVPRO® of Palo Alto. Our damage restoration professionals use advanced water detection equipment to locate the source of the problem and remediate any mold or water damage using advanced proprietary equipment and products. Taking care of mold quickly is especially important, since mold can affect the health of your family. Are you concerned that your property might mold? We can help! We are ready 24/7, 365, call us at 650-800-3448 to help you today! Many homeowners experiencing a fire damage event don't know what to do, where to begin, or how to rebuild or recuperate from such a loss. Many will be displaced for months while their homes are being completely rebuilt, and some will be facing partial reconstruction and major cleanup. The first thing you should do after such a loss is speak with your insurance company. Clarify your policy, and hopefully your loss will be covered. Something to think about while writing up a policy (and prior to a natural disaster) is documenting your contents before such a loss can ravage your home. Taking pictures of your furniture, electronics, major belongings and creating lists of your valuables can literally save you when you are trying to recoup your losses and make an insurance claim of what has been damaged or burnt. Since each smoke and fire damage situation is a little different, each one requires a unique solution tailored for the specific conditions. We have the equipment, expertise, and experience to restore your fire, water and mold damages. At SERVPRO of Palo alto, we treat our customers with empathy and respect. Call us at 650-800-3448.